This amazing Mac Blu-ray Player is powerful and easy-to-use Blu-ray Player software for all Mac users, which can make the dream that people want to build a home theater come true. It supports any Blu-ray disc released in different regions and even allows you to enjoy the backup Blu-ray folder and Blu-ray ISO image file on Mac. What's more, this versatile Mac Blu-ray can also play other format videos including HD videos and common format videos expect BD movies. With the help of this professional Mac Blu-ray Player, you can play any Blu-ray disc released in different regions with Blu-ray drive. In this way, you can watch almost all the latest Blu-ray movies on Mac. 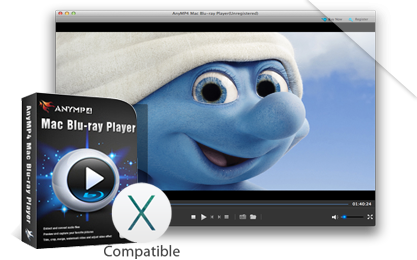 In addition, the backup Blu-ray folder and Blu-ray ISO image file are also allowed to play on this Mac Blu-ray Player software with perfect video effect. So you can get an unbelievable video experience through this magic software. Also, this multi-functional software supports HD video and common format video. You can watch the newest 1080p HD video with the true high definition; fluent video image and 5.1 surround sound audio. Other media formats like AVCHD video, MTS, M2TS, TS, TRP, MPEG, MKV, MXF, MOV, RMVB, FLV and more are also available for playback on the Blu-ray Player. As you can watch 1080p HD video and Blu-ray movie on Mac, this Mac Blu-ray Player can bring you fluent image and perfect audiovisual effect. It will give you a unmatched video watching feast. Do you want to build your own home theater? The Mac Blu-ray Player can realize your dream. After busy work, you can run the Mac Blu-ray Player and begin to enjoy your favorite BD movie or HD video on your wide screen with your family. 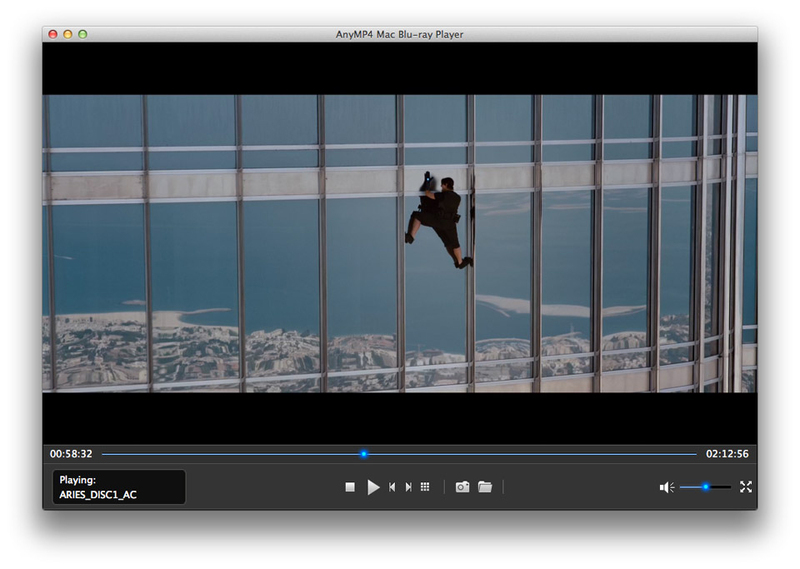 The Mac Blu-ray Player allows you to capture your favorite image from the video with the intelligent snapshot function. This software has the user-friendly interface and you can easily finish all the process by just few clicks.